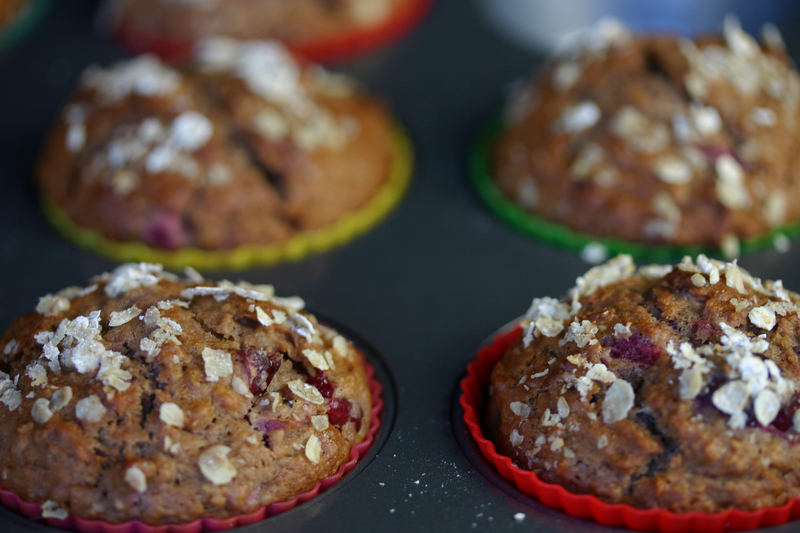 So I decided to knock the rest of it off by making cranberry oat muffins for breakfast this morning. 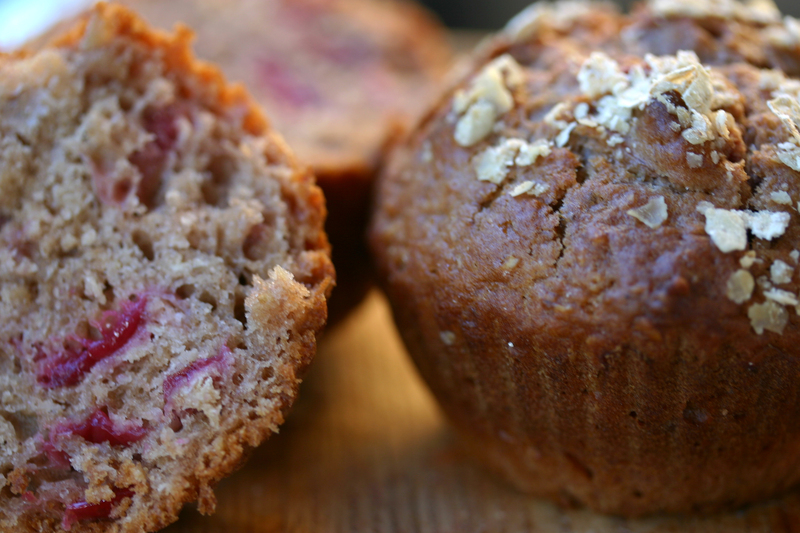 I just substituted a cup of cranberry sauce for the usual mashed banana in my oatmeal muffin recipe. I never bake on weekday mornings – certainly not before school – and the family was gratifyingly surprised and impressed with my efforts. In a large mixing bowl, combine the flour, rolled oats, brown sugar, baking powder, baking soda, salt and cinnamon. In a separate bowl, stir together the cranberry sauce, oil, egg and milk. Divide the batter between twelve greased (or lined) muffin cups and sprinkle the tops with the additional oats. Bake for twenty minutes, or until a toothpick inserted into the centre of a muffin comes out clean. They look really good – will give them a try as we too have more than one jar of cranberry!! Thanks Debbie – Lyra says they are even better than the bran ones I usually make!